Hoka One One Clifton 4 is light, cushy, and very, very fast. 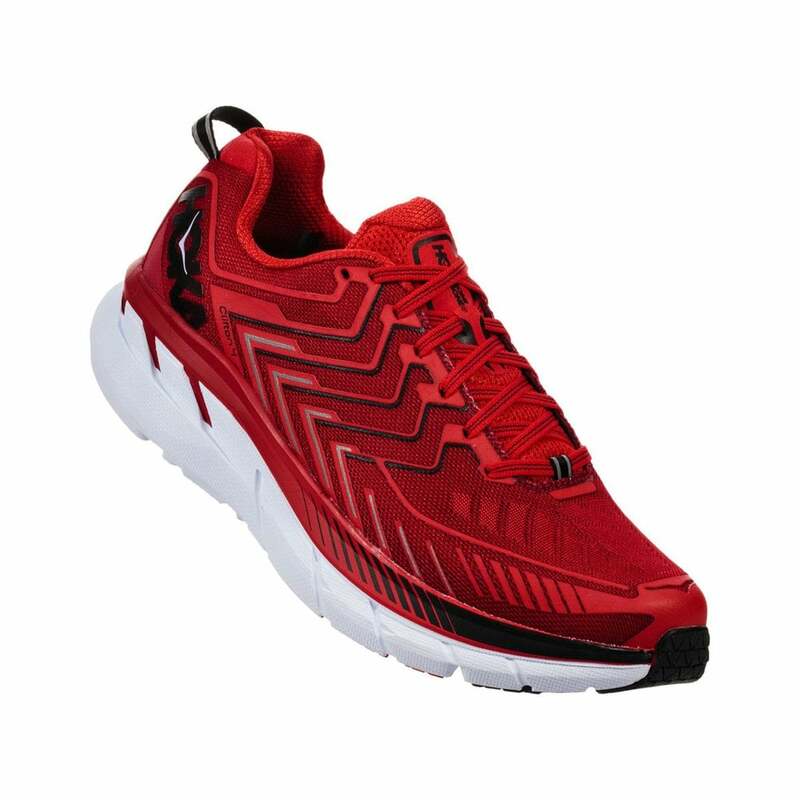 At its core is HOKA's famed midsole geometry, which has been given an upgraded foam package to ensure consistent cushioning through the life of the shoe. Combined with an even more forgiving and adaptive forefoot, we're talking a smoother ride than ever. Then there's CLIFTON 4's surprising new look, which will turn heads. And that's even before they experience the improved fit and breathable mesh upper. While still very much a Clifton, there's an air of refinement to this latest iteration. We take new additions to the award-winning Clifton family seriously, and we believe Clifton 4 is the best Clifton yet.